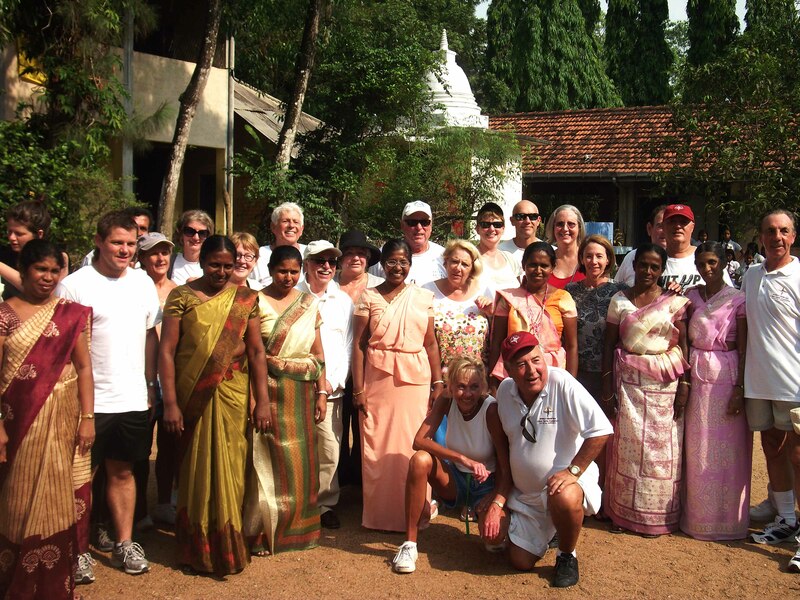 On Friday the 25th March Sarvodaya’s International Division hosted an organized work party made up of around thirty tourists who were visiting Sri Lanka as part of an international boat cruise run by tour operator Crystal Cruises. Their work, which was to spend a day painting at Lenagala Maha Vidyalaya school, took place at Lenagala village, Homagama, located about one hour outside of Colombo. Volunteer travel – or ‘voluntourism’ is something that has been in the media’s eye for some time now. It gained popularity because people who are on vacation often have a desire to do something valuable with their time away. Sarvodaya, who relies on the generosity of volunteers, is eager to embrace voluntourism as a way of achieving its goals of societal development. 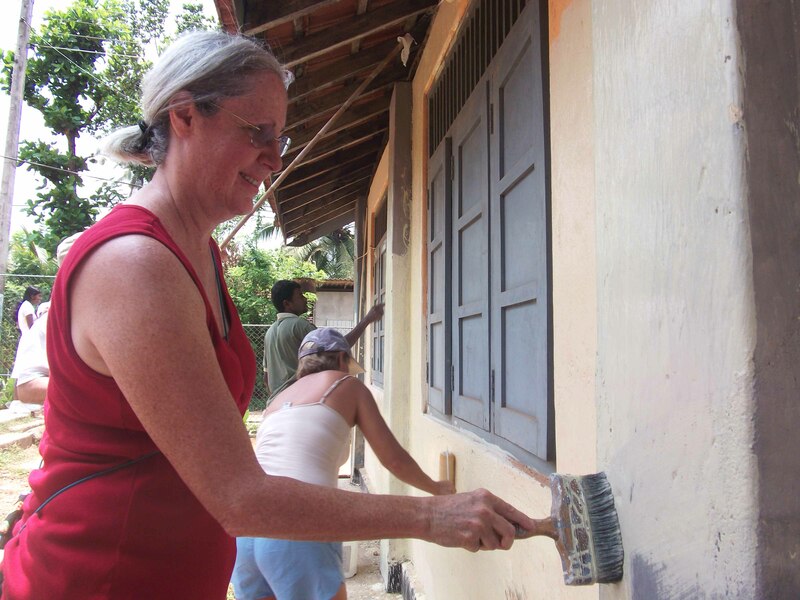 Before the volunteers arrived in Sri Lanka, they had generously agreed to pay for the paint and brushes required to conduct their work. 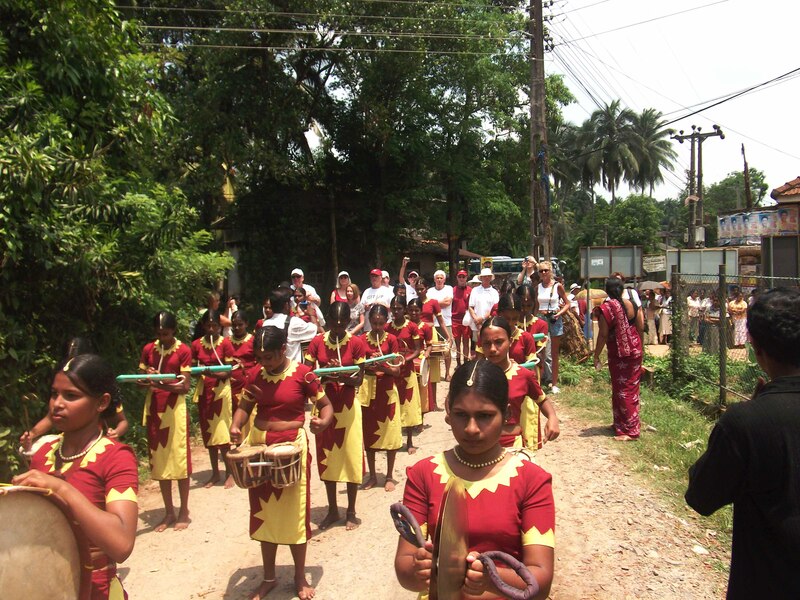 After arriving at the village by bus there was a welcome ceremony, conducted by children of the school, which included traditional music and dance. After this, tea was taken in one of the classrooms before the visitors set about their tasks. There were four groups, led by staff members from the school and each group was allocated an area of the school due for repainting. 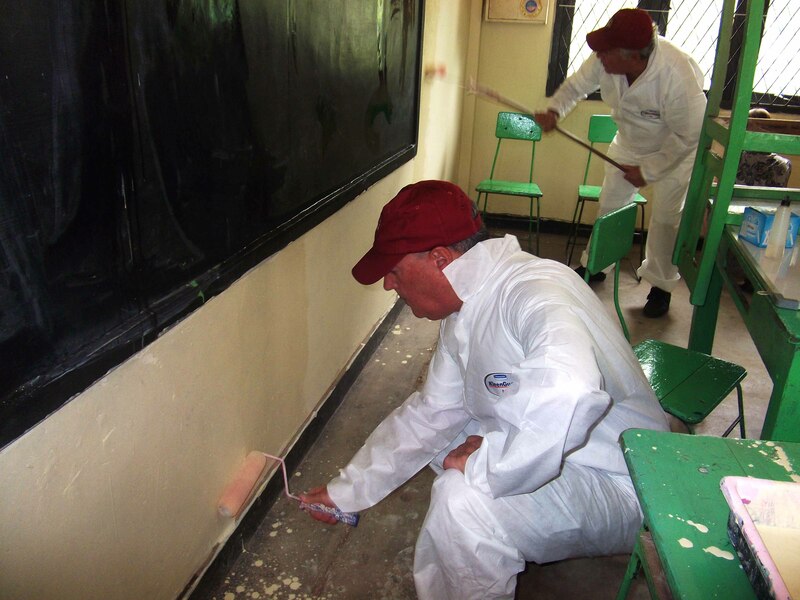 Two groups faced the heat outside, while two others set about repainting separate classrooms. There was some concern, after a slightly delayed start, that the work would not be completed by the end of the day. This worry quickly subsided however, as it became clear that many hands were going to make light work of the tasks that lay ahead. Working alongside students and staff of the school, the visitors accomplished a great deal of their work even before lunchtime. This break, which had been planned as an hour’s rest, became half an hour as almost all the volunteers were excited to get back to work. Despite the heat of the day the painting continued until three when the first group finished painting and shortly after this the other groups finished their tasks as well. It was a pleasant surprise to the Sarvodaya staff that the work was finished so rapidly – an hour ahead of schedule. The school concluded the day with a brief cultural show and a word of gratitude from the principle and the leader of Lenagala village. The feedback from the volunteers was overwhelmingly positive, with many pledging further support for Sarvodaya’s initiatives. Sarvodaya looks forward to pursuing projects similar to this in the near future. well versed in ayurved and homeopathy. i shall only be too happy to be of any help to you.